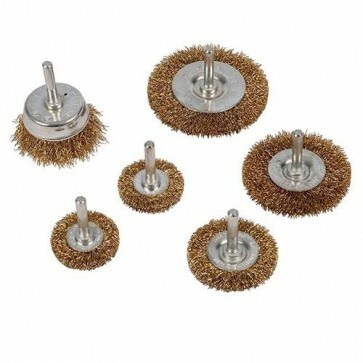 Brand New Wire Wheel & Cup Brush Set (Pack of 6) Large single stroke air displacement inflates bike tyres with ease. Fits Schrader-type bicycle valves. 150mm valve connector hose. L x dia: 400 x 22mm.